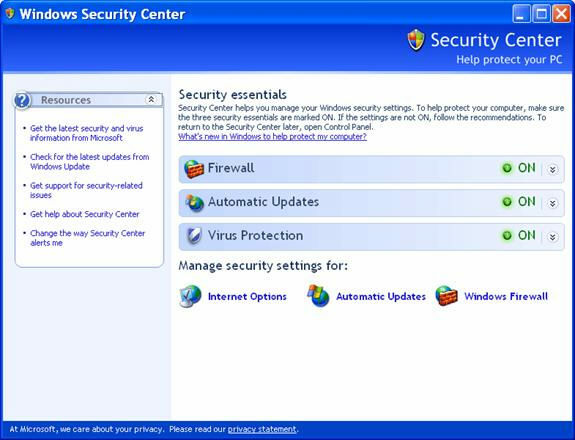 To access the Windows Security Center, open the Control Panel. 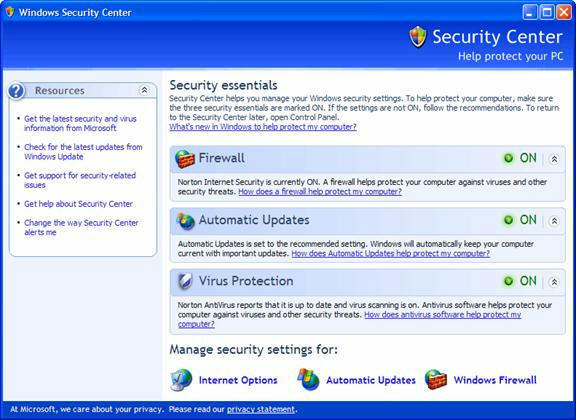 Once inside the Control Panel, double-click the Security Center icon. Assuming that the Security Center is reporting that the Firewall is on, you can see what Firewall the computer is using by clicking on the Firewall header. For example, you can see below that Windows is reporting that “Norton Internet Security is currently ON”. The Firewall installed on your specific computer may be different, depending upon what Firewall you are actually using. It may also say that the Windows Firewall is on, which means the Firewall built into Windows XP is protecting the computer.